SAN FRANCISCO — Instacart said Wednesday that will be rolling out its Instacart Pickup grocery click-and-collect service nationwide. Instacart will be working with existing and new retail partners to add the Instacart Pickup service to participating partner stores nationwide over the coming months and throughout 2019, according to the company, which said that the rollout follows a successful multi-month pilot of the program. “We want to make grocery shopping effortless by helping our customers get the groceries they need from the retailers they love,” said Instacart chief business officer Nilam Ganenthiran. 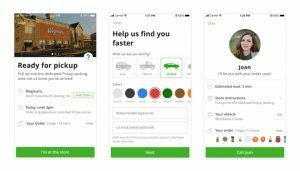 Instacart Pickup allows customers to choose to have their orders delivered to their home, or opt instead to pick them up at the store. Based on their positive response to the Instacart Pickup pilot, the company has deepened its partnerships with such retailers as ALDI, Cub Foods, Food Lion, Price Chopper, Publix, Schnucks, Smart & Final, Sprouts, Tops Friendly Markets and Wegmans to offer the Instacart Pickup service in nearly 200 stores across 25 key markets near Atlanta, Boston, Charlotte, Minneapolis, Nashville, San Francisco and Washington D.C.
Instacart customers in participating cities and retail locations will now be able to place their order and pick up their groceries at their retailer of choice. To access Instacart Pickup, customers can go to the Instacart web site or open the Instacart mobile app, select their city and store, add groceries to their Instacart grocery cart, then choose either a delivery window or pickup window before they check out. Instacart Pickup customers will receive an in-app notification when their groceries are ready. Pickup customers then send an in-app notification to their Instacart personal shopper letting them know they’re on the way to the store. As soon as they arrive, an Instacart shopper or retailer employee will bring the groceries out to the customer’s vehicle. Instacart’s Pickup service is free for Instacart Express members. Instacart is currently accessible to more than 70% of U.S. households and in all 50 states, as well as to more than 50% of Canadian households, the company said.